Every year a new class of cardinals, that seems to be the tradition under Pope Francis. For this year, he calls in fourteen new members of the College, eleven of whom are able to vote in a conclave to elect his successor. This would bring the total number of electors up to 126, were it not for the ageing out of Cardinal Angelo Amato three weeks before the consistory, scheduled for 29 June. Still, the number of electors will be 5 above the maximum number established by soon-to-be Saint Paul VI, but, as noted before, this is a flexible rule that popes are free to break. Barring any deaths, the maximum number of 120 cardinal electors will again be reached by 31 July 2019. The 2018 class of cardinals, as said, consists of 14 members from 11 different countries, all of which have had cardinals before. This may make the list less exotic than previous editions, although some of the new cardinals come from dioceses or curial departments which have never had red hats before. Three of the new cardinals work in the curia, while the rest comes from dioceses (and one religious order) across the world. Three come from Italy, two from Spain, and one each from Iraq, Poland, Pakistan, Portugal, Peru, Madagascar, Japan, Mexico and Bolivia. Louis Raphael I Cardinal Sako, Cardinal-Bishop, Patriach of Babylon (Chaldean), Iraq. The second Patriarch of Babylon to be made a cardinal, and also the second Iraqi prelate. 69-year-old Patriarch Sako was appointed to Babylon and the leadership of the Chaldean Church in 2013. Before that he was the Metropolitan Archbishop of Kirkuk. As an eastern Patriarch, Cardinal Sako will automatically be a cardinal-bishop, but as a member of a non-Roman Catholic Church, albeit one in union with Rome, he will not be given a title church. Luis Francisco Cardinal Ferrer, Cardinal-Deacon, Prefect of the Congregation for the Doctrine of the Faith. Ever since the popes ceased to head the chief office in the curia themselves, its prefects have been made cardinals. 74-year-old Spanish Jesuit Ladaria Ferrer, formerly the second in command under Cardinal Müller, receives the red hat a year after being made prefect. Angelo Cardinal de Donatis, Cardinal-Priest, Vicar General of Rome. Another almost automatic red hat, even under Pope Francis, goes to the vicar general for the vicariate of Rome. The 64-year-old is the second cardinal in the Roman archdiocese, joining Cardinal Angelo Comastri, the vicar general for Vatican City. Giovanni Angelo Cardinal Becciu, Cardinal-Deacon, Substitute of the Secretariat of State. All of Cardinal-elect Becciu’s predecessors have been made cardinals, but none while serving as subsistutes in the Secretariat of State. The general expectation is that the 69-year-old Italian will also leave that office soon: he may well suceed Cardinal Angelo Amato, who will turn 80 in June, at the head of the Congregation for the Causes of Saints. 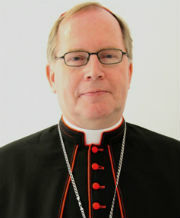 Konrad Cardinal Krajewski, Cardinal-Deacon, Almoner of the Office of Papal Charities. Without doubt the highest-regarded curial official in Francis’ Rome, the 54-year-old Polish almoner runs the charitable initiatives on behalf of the pope in Rome. Under his responsibility, showers and barber facilities for homeless have been installed in the colonnades of St. Peter’s Square, to name but one example. Cardinal-elect Krajewski is the first papal almoner to be made a cardinal. Joseph Cardinal Coutts, Cardinal-Priest, Archbishop of Karachi, Pakistan. The second Pakistani cardinal, and the first native of that country to receive the red hat, ever. Cardinal-elect Coutts, 72, has been in the country’s southern metropolis since 2012, following stints in the dioceses of Hyderabad and Faisalabad. His election must be seen in the first place as a sign of support for the small Catholic presence in a largely Muslim country. António Augusto Cardinal dos Santos Marto, Cardinal-Priest, Bishop of Leiria-Fátima, Portugal. It is not the first time that Francis creates a cardinal in a country he has previously visited. The bishop of the diocese which includes the major Marian shrine of Portugal and beyond hosted the pope in May of 2017. The 71-year cardinal-elect also serves as vice-president of the Portuguese bishops’ conference and becomes that country’s second cardinal. Pedro Ricardo Cardinal Barreto Jimeno, Cardinal-Priest, Archbishop of Huancayo, Peru. In January of this year, Pope Francis visited Peru, so that country also gets a cardinal. The 74-year-old archbishop of Huancayo joins the archbishop of the nation’s capital and is, like him, close to retirement. The cardinal-elect is the second Jesuit to be named in the current batch. Désiré Cardinal Tsarahazana, Cardinal-Priest, Archbishop of Toamasina, Madagascar. After eight years, Madagascar gets a cardinal again, although he is not the archbishop of the capital, Antananarivo. Instead, tnhe 63-year-old cardinal-designate comes from the coastal see of Toamasina. 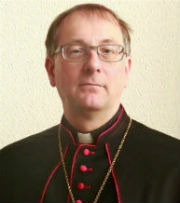 He is the first archbishop of that see, after is was raised to that status in 2010, and he also serves as president of the Malagassy bishops’ conference. Giuseppe Cardinal Petrocchi, Cardinal-Priest, Archbishop of L’Aquila, Italy. In Italy’s mountaineous and earthquake-stricken region of L’Aquila since 2013, the 69-year-old cardinal-elect has been unavoidably involved with missions of charity and works of mercy. The first cardinal from that see, the appointment once more overlooks such ‘autmoatic’ cardinalatial sees like Venice, Turin and Milan. Thomas Aquino Manyo Cardinal Maeda, Cardinal-Priest, Archbishop of Osaka, Japan. Japan was long overdue for a cardinal, and this appointment as not as unique as may be expected. Previous Japanese cardinals came from Tokyo twice, but also one time each from Nagasaki and Osaka. The appointment of the 69-year-old archbishop, who has been in office since 2014, is once more a sign of support for a small Asian Catholic congregation. Sergio Cardinal Obeso Rivera, Cardinal-Priest, Archbishop emeritus of Jalapa, Mexico. There’s always a Mexican among Francis’ appointments, it seems, but this time the choice has fallen on an archbishop who has retired since 2007. The 86-year-old’s election is one of honour, then, perhaps in part because of his two presidencies of the Mexican bishops’ conference. Toribio Cardinal Ticona Porco, Cardinal-Priest, Prelate emeritus of Corocoro, Bolivia. The 81-year-old retired prelate of a small mountain mining town could be said to have truly served on the fringes of the Catholic Church. The economy in the area has been stagnant since 1985, and the new cardinal has worked here for 20 years. He is the third Bolivian cardinal and the first not to come from one of the nation’s two capitals. By the time of the consistory, Pope Francis will have created almost half of the electors, or active members of the College of Cardinals. He will have created 59 of them, while 47 will have been created by Pope emeritus Benedict XVI and a further 19 by Pope Saint John Paul II. With the new consistory, Italy remains over-represented in the College, with 22 electors. It is followed by the United States with 10, Spain, France and Pland with 5, and Mexico, Brazil and India with 4 electors each. All other countries are represented by 2 or less cardinal electors. Before yesterdays’ announcement of the upcoming consistory, another change took place in the College of Cardinals, albeit an expected one. Ten years after being created, a cardinal-deacon can opt to be elevated to the next rank of cardinal-priest. This changes nothing in their hands, but only in their precedence among the other cardinals and thus their duties at a conclave to elect a new pope. All six cardinal-deacons who were created by Pope Benedict XVI in 2007 accepted this change and became cardinal-priests, thus joining the other 11 surviving cardinal of their consistory, rising in precedence from after the most recently-created cardinal-priests of Pope Francis, to roughly the middle section of the cardinal-priests. Almost 500 years after his death, the only Dutch Pope will be getting a statue in his native city of Utrecht. Out of an initial sixty, three sculptors will be invited to make a design that will eventually be turned into a full scale statue. As a possible location the Pausdam in the old centre of the city is being considered, although the sculptor will have a say in that. Pope Adrian VI was Pope for less than two years, in 1522 and 1523. Although he was born in Utrecht, there is some debate about whether he can be considered a Dutchman. The city was the heart of the Prince-Bishopric of Utrecht, part of the Burgundian Netherlands in the Holy Roman Empire. There was no sovereign Dutch state to speak of at the time, so Adrian VI can also be considered a German Pope. Whatever his nationality, he was the last non-Italian Pope until Pope St. John Paul II. 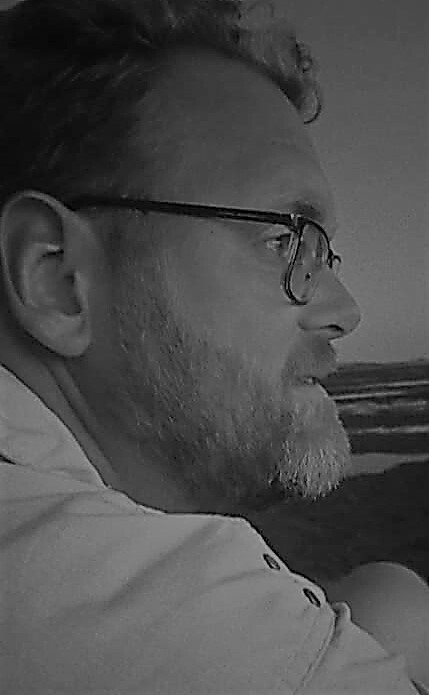 Before becoming Pope. Adriaan Florensz, as his birth name was, worked his way up in the world. Vice-chancellor of Louvain University, personal advisor to the governess of the Habsburg Netherlands, tutor to the future Emperor Charles V. Heading to Spain in 1515, he was made Bishop of Tortosa and Inquisitor General of Aragon in 1516. He was created a cardinal in 1517. During Emperor Charles’ minority, Cardinal Adriaan was co-regent of Spain, and regent when the adult Charles was in the Netherlands in 1520. In 1522, Adriaan was elected to the papacy as a compromise to break the deadlock between Spanish and French candidates. The new Pope arrived in Rome in August of 1522, more than seven months after his election. Wanting to be a peacemaker to unity the European princes against the Turks, Pope Adrian VI is perhaps most notable today for seeing the need to reform the Curia, which he privately considered part of the reason for the Protestant revolt. 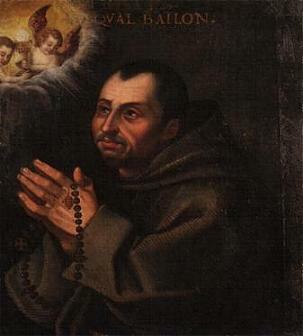 He died in September 1523 and is buried in the Santa Maria dell’Anima church in Rome. In Utrecht there are few reminders of Pope Adrian, but most visible is the house he had built there for his retirement when he was still a cardinal. Of course, he never lived there because of his election to the papacy. The house is used today as a presentation space for the King’s Commissioner and the provincial government. In 1985, Pope St. John Paul II visited the house. A statue commemorating the only pontiff to hail from what would one day become the Netherlands would certainly be a fitting addition to the city where he was born. A further valuable addition would be a renewed recognition of the role Pope Adrian VI played in Europe and in the Church.